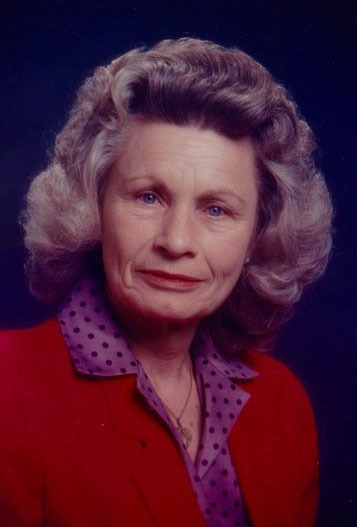 Ruth Rosetta Roberson, 93, born April 18, 1925 in Endee, New Mexico and passed away at the age of 93 on December 3, 2018 in Amarillo, Texas. Ruth was preceded in death by her husband, Melvin Sr., her son Dennis, and a grandson Dennis Jr. She is survived by her son Melvin Jr. and wife Sandra, her daughter-in-law Wanda Roberson, and her daughter Janis Denton. Ruth has 5 grandchildren; Troy Roberson, Chase Roberson, Pennie Erwin, Robert Roberson, and Shane Denton. She has 7 great grandchildren, and 4 great-great grandchildren. Included in those who loved Ruth were a multitude of extended relatives and in-laws. Ruth lived the last four years of her life at The Craig where she was loved and cared for by staff and also staff from BSA Hospice of the Southwest. Ruth was a talented cook and seamstress. She was a loving and devoted grandmother who cared for each of her grandchildren and some of her great grandchildren at some point while parents worked.